Passion Family Dental is focused on delivering world-class dental treatments at reasonable rates to people residing in the Mango Hill community. At Passion Family Dental we use the latest dental methods and technology to make your dental visit easy and satisfying. Our dental practice is staffed by a team of devoted and exceptionally qualified dentists committed to the highest standards of excellence. This combination of capable staff and advanced methods guarantees you the healthy teeth and delightful smile that you have been longing for. 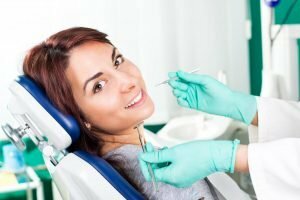 Preventive dentistry are treatments which focus on preventing mouths and teeth from developing infections, cavities, gum disease, enamel wear and more. This usually requires a lifetime obligation that generally begins with the arrival of the first tooth. Children need to see a dentist shortly after this to begin developing good oral hygiene habits. At Passion Family Dental, our dental team works extremely hard to help you keep your natural, healthy smile for a lifetime. This starts with regular comprehensive examinations and professional dental cleans in our clinic. Our preventive care also incorporates oral screenings, pediatric dental services, fluoride treatments and more. The residents of Mango Hill are encouraged to receive regular comprehensive examination and professional dental cleans with us. During this appointment we will also discuss your overall health, how diet may effect your teeth and demonstrate correct brushing techniques. To maintain your ideal oral wellbeing, we recommend visiting your dentist at least twice a year. Children should be taught proper oral hygiene from an early age. These practices are intended to ensure that their teeth are clean and healthy; it will help them develop a lifelong and very natural approach to visiting the dentist. Cosmetic dental treatments focus on improving and enhancing the appearance of your teeth. Our dental team provides high-quality cosmetic dental services and are ready to assist you every step of the way to achieve your desired outcome. Our clinicians will listen to your needs and expectations and discuss an extensive range of options that will help you achieve a beautiful smile. Restorative Dental treatments help patients from the Mango Hill area restore their oral health. At Passion Family Dental, our goal is to save your natural teeth by performing restorative dental treatments where possible. At Passion Family Dental, we provide fast and effective emergency dental care for patients in pain who reside in Mango Hill and surrounding areas. If you are in severe pain or have a dental emergency, call us on (07) 3465 1199 immediately. We will attend to you with upmost urgency and care. Our regular hours are from Monday to Friday from 8:00 am to 5:00 pm. For patients wanting a reservation on Saturdays, Sundays and after hours, please call us to book an appointment.